For several year Pontus is well-known to solution annealing and precipitation hardening of Grade-5. Roughly machines parts are treated on a weekly basis at our facilities. To investigate the effects of temperature deviations to the results of the heat treatment, we sought the co-operation with the Windesheim University in Zwolle. The results of this study led to the improvement of our heat treatment on Titanium Grade-5. Furthermore we are able to apply our knowledge to solving our customer’s problems. Printing of Titanium is becoming more implemented in several areas. Together with a Dutch customer we developed a proces to improve the properties of printed Grade-5 and to refine the structure. This proces provides a suitable alternative to the expensive high pressure treatments. Welded parts tend to be stress relieved by heat treatment. By applying our knowledge on this procedure we are able to perform this heat treatment with minimal dimensional deviations. These processes are performed in extremely deep vacuum. 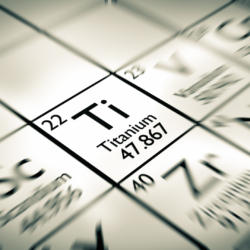 In addition Argon in stead of Nitrogen can be used to quench Titanium parts.